The OEM Time Switch required a total of four wires to be connected to the switch. However, the AllClaveParts Mechanical Time Switch (Part #RCT048-2505) requires only two wires to be connected. 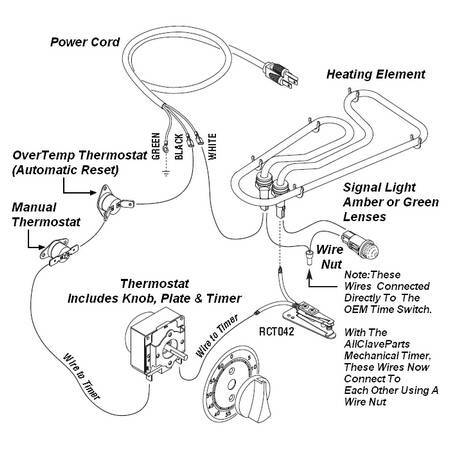 Please see wiring diagram below for proper connections.